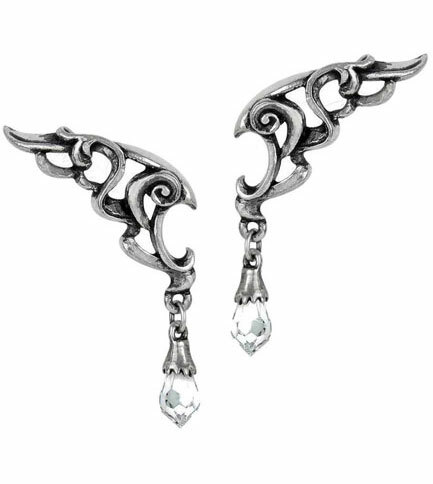 Baroque style lace earrings shaped like a wing symbolizing everlasting life and love. 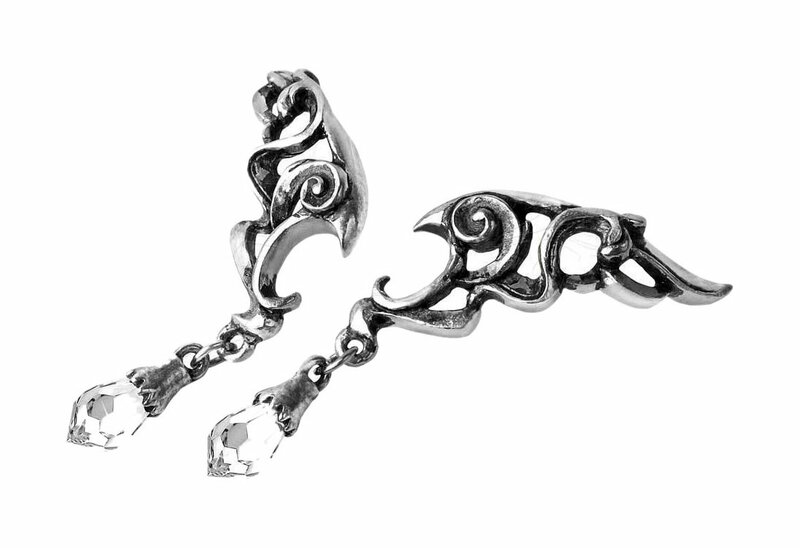 Made of Fine English pewter with Swarovski crystal and steel posts. 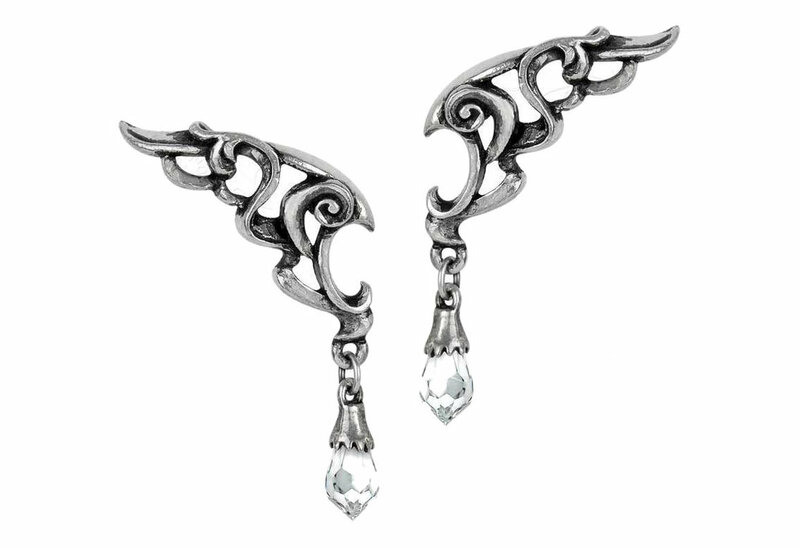 Measures approximately 2.13 inches wide, 0.75 inches high and 0.16 inches deep. Imported from the UK.